In May 2016, jurors awarded an elderly man injured in a slip-and-fall case in Portland more than $1.6 million, including $1 million in punitive damages, according to a report from The Oregonian. Nationwide, punitive damages are rare in these types of cases (also known as premises liability cases). So what caused the jury in this case to diverge so sharply from the norm? Gross negligence means that the defendant’s conduct was so reckless or lacking in ordinary care that it constituted a conscious disregard or indifference to the safety of anyone exposed to that conduct. 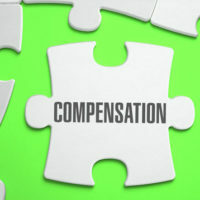 Florida law caps punitive damages at three times the amount of compensatory damages awarded or $500,000, whichever is greater. In the Oregon case, plaintiff Christopher Armstrong-Stevenson, who was 84 when the incident occurred, slipped and fell on spilled laundry detergent in a Safeway store. Armstrong-Stevenson broke his leg, an injury which required surgery and physical therapy to repair. At the time of trial, Armstrong-Stevenson was still in physical therapy and had not been able to resume his formerly active lifestyle. At trial, his lawyers alleged that Safeway had engaged in a cover-up by destroying video evidence that they had requested be preserved, and by otherwise “fiddling” with relevant records. The lawyers also claimed that Safeway tried to pass blame for the incident off onto a shopper with a leaky detergent bottle in her cart, and that a store employee who had signed a form stating that she had performed a 30-minute walk-through of the whole store and that the floors were clean and dry admitted that she never got to the aisle where plaintiff fell. Jurors interviewed after the trial seemed to focus on the fact that after the spill Safeway took no action to prevent similar injuries from happening. The company did not develop a coordinated spill-response protocol to ensure that spills would be quickly cordoned off and cleaned up so other customers would not share Armstrong-Stevenson’s fate. If you have been hurt in any commercial establishment or other place of business, you may be able to recover for the damage you have suffered. The experienced premises liability lawyers of Lesser, Lesser, Landy & Smith, PLLC, have the ability to properly advise you, and to help you obtain fair and just compensation. Our firm, with offices in West Palm Beach, Boca Raton and Stuart, has represented clients throughout Florida for over eight decades. Contact us for a consultation today.